Scientists working on NASA’s Mars Science Laboratory mission have been somewhat sparing until now when describing exactly how the rocks drilled, gobbled and cooked by the Curiosity rover paint a picture of a life-friendly environment. Well, no more. In a suite of findings announced Monday, the scientists are painting a vivid picture of Gale Crater: filled with a modest lake of water, rich in the chemical ingredients for life, theoretically able to support a whole Martian biosphere based on Earth-like microbes called chemolithoautotrophs. 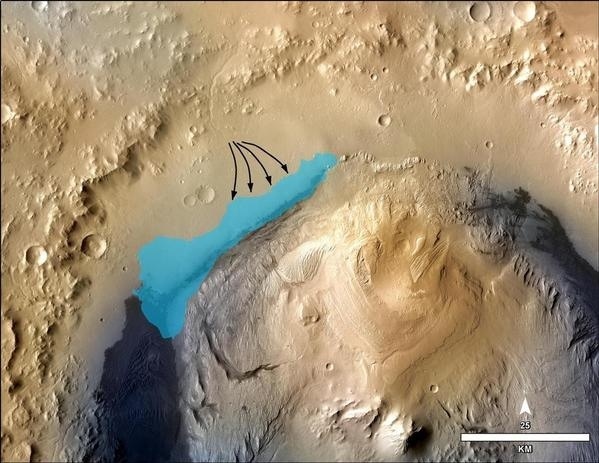 “Ancient Mars was more habitable than we imagined,” Caltech geologist John Grotzinger, the mission’s lead scientist, said of the findings described in six papers in the journal Science and at the American Geophysical Union meeting in San Francisco. If microbial life ever developed, it potentially had anywhere from thousands to tens of millions of years to take hold, the scientists said. That watery window of opportunity seems to exist around 3.6 billion years ago, about the same age of the earliest fossils of microbial life found on Earth. Next articleThe most creepy and haunted cemeteries.